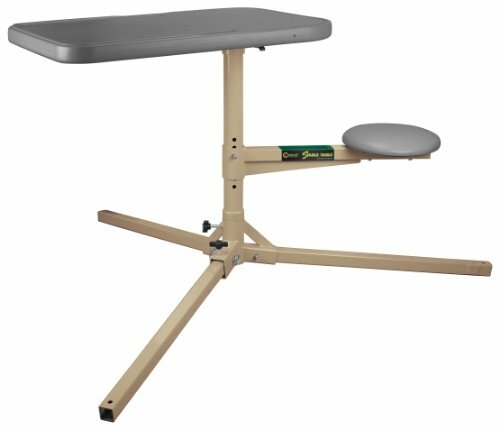 The Caldwell Stable Table Portable Shooting Bench is designed from the ground up. This bench features a tri-pod base, robust steel frame and perfectly sized table top. Tri-pod features fewer joints and tighter connections to minimize wobble and the recessed table top will hold ammo boxes, binoculars and other accessories without fear of them rolling off onto the ground. Padded seat is adjustable in height and the entire package weighs less than 50 lbs.